Who'd have thought we'd see the day when young English players from teams in the so-called 'top six' upped sticks from their cosy lives in the Premier League in favour of moves to Germany. Seeing some of Blighty's most exciting players find regular game time on the continent is a brilliant sight for fans with Three Lions on their shirts. However, one thing that the moves of Jadon Sancho and Reiss Nelson, in particular, was bound to bring is endless comparisons between the two. It's an inevitable by-product of modern football. 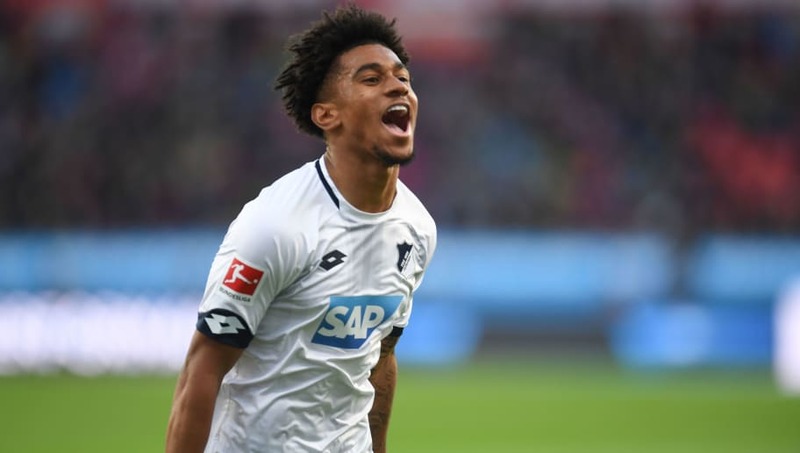 Borussia Dortmund's Jadon Sancho has already become a full England international thanks to his performances in the Bundesliga, while many expect that his childhood friend Reiss Nelson will also be called up to the senior side after his short time at TSG Hoffenheim. Although Sancho is currently hogging the limelight as English football's golden boy - he's already been linked with ridiculously priced moves back to the Premier League - Nelson could be going under the radar as the bonafide British wonderkid teams should look to sign. Both players are very similar in many aspects of their game and that's hardly surprising given they grew up playing football together for a number of years. "Jadon and Reiss were both phenomenal players," former coach Sayce Holmes-Lewis said, quoted by bundesliga.com. "You knew they would go into the professional game. They were different from anything out there and had this ability to manipulate the ball at a young age. "At times, because of their friendship, it was telepathic between them on the pitch." If there's one thing that teams across the planet will always dig deep in their pockets to invest in it's goals, and Nelson is providing them at Hoffenheim in abundance. In just six Bundesliga appearances this season, Nelson has already found the back of the net on five occasions, placing himself alongside Bayern Munich's goal machine Robert Lewandowski in the charts. Nelson doesn't score tap-ins either. The on-loan Arsenal winger has already shown that he can score on either foot, from inside and outside the box, as well as from seemingly impossible angles. Both players are quickly having the hopes of England's international future rested on their shoulders, but club sides could soon be more drawn to a big money move for the goalscoring Nelson, rather than the creative Sancho.